Bob has presented workshops and lectures on all aspects of physical preparation for golf for many years. 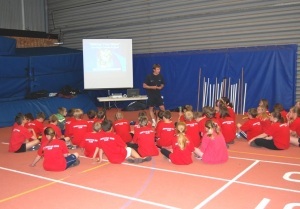 His workshops have been delivered on the England Golf and PGA CPD programmes, at Colleges and Academies, County Sports Partnerships, Sports Coach UK, and at golf clubs, clinics and gyms. The themes that underpin his educational work are always similar. Make the information and solutions practical and doable in the real world of golf. Make them relevant to the age groups you work with. Make them relevant to the levels of ability you are addressing. Make it purposeful, but also playful.